Determine the value of community property. Decide on a division of community property that is “fair and just.” Community property often is divided evenly but a 50-50 property division is not required and courts will frequently award one spouse more than 50% of the community property. When will a Judge make an uneven division of property? How does the judge know what property the parties have and what it is worth? How are community debts divided? Can pensions, 401K plans and other employee benefits plans be divided in a divorce? How is a traditional pension that is not yet vested or being paid divided in a divorce? How will the money in a 401K or cash balance pension plan be divided? What is the the Final Decree of Divorce? The court can only divide and award the “community estate” in a divorce. The community estate consists of community property and debts acquired or incurred during the marriage. A person’s separate property cannot be taken away in a divorce. Sometimes, however, people decide they must sell their separate property in order to pay debts or obligations created by a divorce. Community Property is presumed to include all property and income acquired by the husband and wife during the marriage (including income earned after a divorce is filed up until the divorce is actually granted). Separate Property is property owned by a spouse before a marriage or property a spouse receives during a marriage by way of inheritance or gift (including a gift from the separate property of one spouse to the other). Employee benefits, such as a pension, disability payments, workers’ compensation or funds in a 401K plan, acquired during a marriage are community property. If separate property, such as a rent house, generates income during the marriage, that income is community property. Increases in value of a sole proprietorship or partnership that is separate property are community property but corporate stock retains its separate nature, even if it increases in value. Dividends paid during the marriage from separate stocks or mutual funds are community property as are the profits from a separate partnership. If money that is separate property has been mixed or commingled with community funds, it may be possible to go back and trace the separate money and recover it. Click here for a more detailed discussion of Tracing Separate Property in a Texas Divorce. If community funds are used to increase the value of separate property or to pay off debts on separate property, the community estate may have a right to seek reimbursement from the spouse who so benefitted. There may also be a reimbursement claim if one spouse spent an unusual amount of time and effort building up a business that is separate property. Reimbursement claims are complicated and should be discussed with a lawyer. Click here for a more detailed discussion of Reimbursement Claims in a Texas Divorce. The best way to divide community property is for the spouses to agree on a fair division. If the husband and wife cannot agree how to divide things, Texas law requires the judge to divide community assets and liability in a way that is “just and right.” This does not always mean that community property is divided evenly. Click here for a more detailed discussion of A Judge’s Options in Dividing or Confirming Property in a Texas Divorce. Division of community assets as part of a settlement or a trial before a judge requires each side in a divorce to prepare a property division spreadsheet. The property division spreadsheet lists the couple’s assets and debts which are community property with a value for each item and suggests a proposed division of property. The two primary reasons that divorce judges will award one spouse more than 50% of the community property is a big difference in the ability to earn money in the future and really bad behavior during the marriage. Click here to see a chart that lists all of the factors a court can consider in dividing community property in a Texas divorce. Each side will file a Sworn Inventory and Appraisement that lists all property and debts (community and separate) and shows the approximate value or amount of each. Often, the two inventories do not agree, but the judge uses them as a guide to deciding the property division. If the case goes to trial, evidence will be submitted about the nature and value of property. Sometimes, the parties hire expert appraisers to decide what land or businesses are worth. 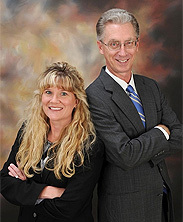 Click here for a more detailed discussion of Valuation of Property in a Texas Divorce. A family business can be a couple’s largest asset and determining the value of the business can play a huge role in a divorce. Click here for a more detailed discussion of Business Valuation in a Texas Divorce. Community debts are also divided by the court on a “just and right” basis. However, a divorce decree cannot rewrite a mortgage or loan agreement. If, for example, the judge decides the husband must pay a certain loan but the loan was taken in both parties’ names, the creditor will usually look to the wife to pay if the husband does not or cannot repay the loan. Yes. Employee benefits earned during the marriage, including most pensions and 401K plans are community property that will be divided in a divorce. Click here for a more detailed discussion of Characterization of 401k Plans, Pensions, Stock Options, and Restricted Stock in a Texas Divorce. Dividing pensions in a divorce is a very complicated area of the law and you need to consult a qualified attorney about your particular situation. However, generally speaking, pension benefits are divided as follows: the accrued benefit is calculated as of the time of divorce as if the employee had stopped working on that date and then that amount is multiplied by a number that equals the number of months of marriage divided by the number of months in the pension plan. The resulting dollar figure is the community amount that will be divided. The amount awarded to the non- employee spouse will not be paid by the pension plan until retirement benefits are due. Again, the exact manner of dividing your funds will depend on the specific facts of your case. In general, the community portion of a 401K plan or cash balance pension that will be divided equals the balance on the date of divorce minus the balance on the date of marriage. Usually, the amount awarded to the non-employee spouse is “rolled over” into his or her own 401K or I.R.A. to avoid having to pay taxes and penalties on a distribution. A Qualified Domestic Relations Order, or “QDRO,” is a separate order signed by the judge in addition to the divorce decree which directs a pension, 401k or other employee benefit plan to divide the plan benefits. A QDRO must be signed by the judge and approved by your Plan Administrator in order to divide retirement or other plans benefits. The court order that says the couple is divorced and which confirms separate property and divides community property is called, “The Final Decree of Divorce.” This court order is based on either a settlement or the judge’s ruling after a final trial.